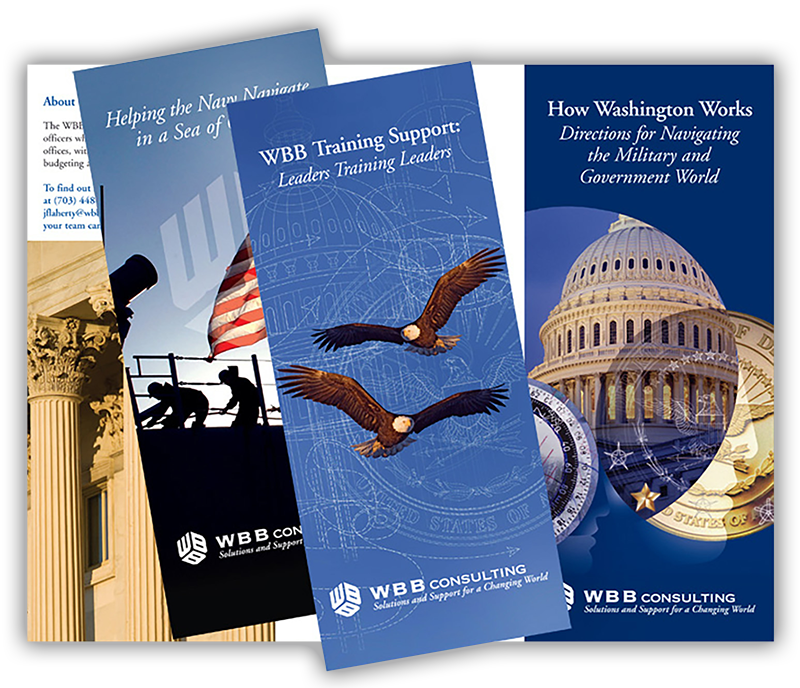 Challenge: Leadership at WBB called on TWP to help unify and grow this defense consultancy that enjoyed an excellent reputation for quality and hiring the very best military professionals. Breaking into new markets and the company brand were a challenge, including the company name. Solution: TWP worked first with leadership to develop a marketing plan that aligned with business goals and to determine appropriate company name and tagline along with business sector strategies, including internal communications. 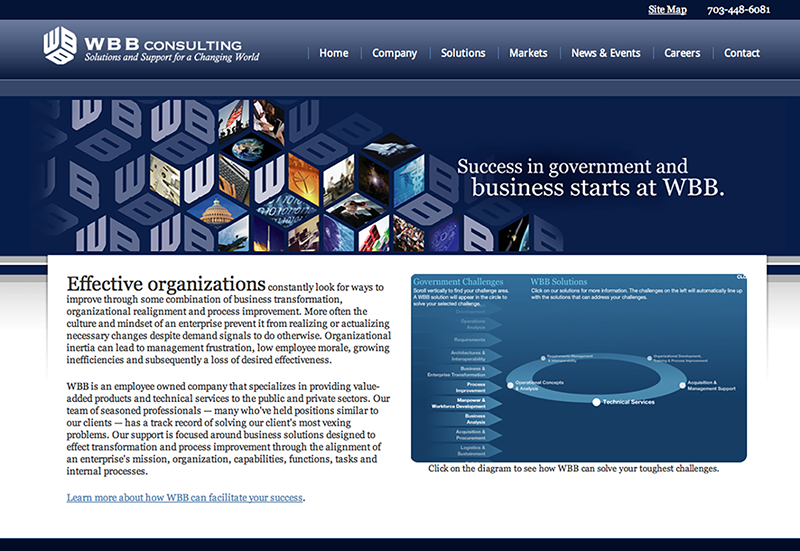 TWP worked closely with senior business developers to provide market intelligence, outreach, and message training while rebranding the company. TWP completed all planning, advertising, public relations, conference and business development support. Result: In just 6 years, the company grew from $35M, crossing the small to large business mark, to over $100M. A company acquisition was completed prior to the 7-year goal, which was established in the early planning phases.